Exposure to ultra-high-strength MRI (7.0-T) may release mercury from dental amalgam, according to a new study published in the journal Radiology. The release, however, was not seen with the exposure to lower strength MRI (1.5-T). Selmi Yilmaz and Mehmet Zahit Adisen, Faculty of Dentistry, Akdeniz University in Antalya, Turkey, conducted the study to evaluate ex vivo mercury release from dental amalgam after 7.0-T and 1.5-T MRI. For the study, the authors evaluated 60 caries-free molar or premolar teeth that had been extracted for clinical indications. 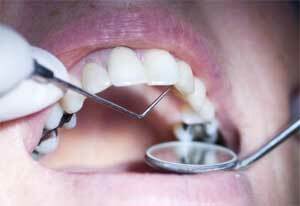 Two-sided cavities were opened in each tooth and amalgam fillings applied. After 9 days, two groups of 20 randomly selected teeth were placed in 20 mL of artificial saliva immediately followed by 20 minutes of MRI exposure at 1.5 or 7.0 T. A control group of teeth was placed in artificial saliva without undergoing MRI exposure. The teeth were removed from the artificial saliva 24 hours later, and the saliva was analyzed for mercury content by using inductively coupled plasma mass spectrometry. One-way analysis of variance was used to compare the mean mercury values among the three independent groups, and the Tukey test was used for multiple comparisons of the mean values. The mean mercury content of the artificial saliva was 673 μg/L ± 179 in the 7.0-T MRI group, 172 μg/L ± 60 in the 1.5-T MRI group, and 141 μg/L ± 152 in the control group. The mercury content in the 7.0-T group was greater than that in both the 1.5-T group (P < .001; 95% confidence interval: 368 μg/L, 633 μg/L) and the control group (P < .001; 95% confidence interval: 416 μg/L, 648 μg/L). There was no statistically significant difference in mercury content between the 1.5-T and control groups (P = .84; 95% confidence interval: −164 μg/L, 110 μg/L). “In an ex vivo setting, mercury was released from amalgam fillings after exposure to 7.0-T MRI but not 1.5-T MRI. Further studies of mercury amalgam at 7.0-T MRI may be warranted to evaluate the relationship between high-field-strength MRI and release of mercury from dental amalgam,” concluded the authors.